For regional universities in Japan (especially national ones), the question of whether local human resource development should be their highest priority has historically been considered to be taboo. This is because the ideal model for regional national universities was a global research institution such as the University of Tokyo, and they did not have a strong interest in conducting regionally limited education and research. This ideal model persisted even after the 1980s when regional national universities proposed new activities, such as academic-industrial collaboration and lifelong learning, for residents in the region. However, by around 2010, Japan’s rapidly declining birth rate and aging population caused its overall population to decline, the effects of which quickly became evident. As a result, regional universities’ local contributions became an important policy issue. In fact, in 2013, the Ministry of Education, Culture, Sports, Science and Technology (MEXT) launched the ‘Centre of Community Project’ (COC Project), which allocated time-limited subsidies to selected ‘universities that will become the core of regional revitalisation’. Since 2015, the project has developed into the ‘Promotion for Regional Creation by the Centre of Community Project’ (COC+ Project), and the selected institutions now strive to reform entrance examinations, education, and employment support aimed at specific numerical targets for local human resource development (targets such as increasing the percentage of graduates who work within the region where the institution is located from 20% to 40%). Nevertheless, the COC+ Project is particularly problematic from a regional human resource development policy perspective. That is, for the most part, this project became effective mostly without considering regional high school students’ desire for higher education. When a local high school student goes to a local university, is it correct to assume that their ultimate goal is to seek a job at a local company (or government agency) after graduation? Furthermore, would local high school students welcome this assumption? This paper examines the role of regional national universities from the perspective of regional high school students’ desire for higher education. Specifically, we conducted a questionnaire survey on the desire for higher education among the final-year students of four prefectural high schools in Iwate Prefecture. We then carried out a factor analysis on students who wished to pursue local higher education and those who wished to pursue higher education in the Tokyo area, examining why each individual made his/her decision. The reasons for choosing Iwate Prefecture for the study are as follows: (1) It has one of the lowest university entrance rates (roughly 35%, while Japan’s overall average is about 50%, and that of Tokyo is over 70%); (2) top university-preparatory schools are nearly all public (prefectural) high schools, and in Iwate we do not see the phenomenon of the financially affluent elite being dispersed across private high schools; and (3) access to the Tokyo metropolitan area is relatively favourable (2.5 hours by bullet train), and there is little likelihood of proceeding to higher education in metropolitan areas west of Tokyo. Another reason for choosing Iwate Prefecture is that Iwate’s students in public prep schools (as shown in this paper) show a strong orientation toward national universities. After analysing the questionnaire survey results, this paper argues that there is a problem with local human resource development policy, as follows: The policies of the COC+ Project for regional national universities have concentrated on nurturing human resources that go on to contribute locally, but there is a significant problem in that they do not consider the academic ambitions of local high school students. This is an issue because, according to the analytical results of this paper, a certain number of local high school students that aspire to higher education ‘are looking at the future’, ‘have the scholastic ability to advance academically’ and, while they ‘do not necessarily want to go to a big city’, they chose a ‘national or other public university’ ‘without relying much on other people’. That is to say, even if these students have the opportunity to progress to local universities, their decision could be negatively affected by the fact that the local human resource development goals of the regional universities differ from these students’ future hopes. This paper consists of five sections: (1) background of the COC+ Project policy promotion and the current circumstances of Japanese universities; (2) research methods; (3) nature of the desire for higher education; (4) reasons for the desire for university education; and (5) a conclusion. In the first section, we outline the current state of universities in Japan after discussing the COC+ Project and the background of government promotion of these local human resource development policies. As population outflow from rural areas (in Japan) continues, it is estimated that by 2040 the municipalities with a decrease of 50% or more in young women (20-39 years old) with the potential to increase population by having children will climb to 896 (49.8% of the total). These municipalities, no matter how much the birth rate may rise, are very likely to disappear altogether in the future. (Japan Policy Council, Subcommittee on Studying Population Decline, 2014: 6). The message that approximately half of the municipalities would disappear by 2040 created a sensation in the media, and the Abe cabinet was forced to respond. The result was that the COC Project, originally intended for five years, was terminated after only two years, and in 2015 it was revised and rolled out as the COC+ Project. This change had a major influence on regional national universities, as will be explained. The proposed and adopted means for the 2013 COC project are shown in terms of installation and format in Table 1. Table 1. Proposal and means of adoption (installation/format) for 2013 COC project. Broadly speaking, there were both individual and joint applications and adoptions (the joint examples comprise a number of universities who cooperated, accounting for approximately one-sixth of the total). Along with a high adoption rate at national universities, adoption at local public and private universities can be seen to a certain extent, and to a lesser extent, there was some adoption among junior and technological colleges. A similar trend was also evident in public recruitment the following year. Nevertheless, because the new COC+ Project (which began in 2015) does not allow independent applications, the adoption situation (Table 2) has changed dramatically. Table 2. Proposal and means of adoption (installation/format) for 2015 COC+ project. In 36 out of 37 cases (97.3%), representative national universities (base institutions) adopted the project via joint applications; there was also an extremely high rate of shared adoption (36 out of 42 cases; 85.7%). Furthermore, there were national universities that adopted the project in all of the prefectures (47 local governments, which are the largest administrative districts in Japan). Therefore, in addition to taking regional balance into consideration, the support and prompting of national universities seems to have been chosen intentionally. In other words, the COC+ Project can be seen as the chosen government policy for guiding all national universities in rural areas to take part in regional revitalisation activities, which was one of the ‘important’ issues for the Abe cabinet. In the transition from COC to COC+, there were significant changes in the project’s objectives and performance indicators. These changes are summarised in Table 3. Table 3. Changes from the COC project to the COC+ project. Project Objectives resolving regional issues by matching the needs of the community and the needs of the university (education, research, social contributions) collaboration involving local universities, regional governments, companies, and NPOs, as well as private groups, etc. to promote the training of individuals who will play a part in the region, such as human resources that will create local industries, etc. Performance Indicators evaluation of efforts related to collaborating with the local government/municipality employment rates and number of jobs created in companies collaborating with local governments; evaluation of efforts in collaborating with local governments, as well as small-to-medium-sized businesses, etc. In the COC+ Project, the training of regional human resources for business objectives was clearly stated. In addition, as performance indicators, concrete numerical targets were included to measure the degree of achievement, such as the regional employment rate and number of jobs created in the area. In this way, the base universities adopted for the COC+ Project (the majority of which were regional national universities) working in cooperation with other universities in the same area worked with the local government, businesses, etc., in a collaborative relationship that was established to develop human resources that would be active in the region. The COC+ Project compelled universities to change their human resource education goals. Indeed, one must wonder if the universities that adopted the programme really wanted to adopt it themselves. It raises the question of just how much these institutions were encouraged to apply by MEXT. This seems possible given that nearly all of the regional national universities applied ‘neatly’ one institution at a time in each prefecture. Contrastingly, large national research universities in urban areas, such as Kyoto University (which adopted the COC project of 2013), are yet to apply for this new model. That is, large-scale research universities, such as the former imperial universities, are not applying to the programme, and there is a high probability that they were informed not to do so beforehand by MEXT. In this paper, the results of a questionnaire on the desires of third-year high school students in Iwate Prefecture are used to analyse the problems that accompanied the adoption of the COC+ Project by regional national universities. Before delving into the analysis, for the benefit of foreign readers, we would like to outline the current situation at Japanese universities. Japanese universities include national, local public, and private institutions (local public universities are funded by municipalities). As of May 2015, there were a total of 779 universities, with 86 national institutions (11.0%), 89 local public institutions (11.4%), and 604 private institutions (77.5%). At that time, the numbers of new students (undergraduates) included 100,631 students at national institutions (16.3%), 30,940 students at local public institutions (5.0%), and 485,936 students at private institutions (78.7%), indicating that most of Japanese university education is provided by private universities. Nonetheless, in terms of research capabilities, there is a higher level at national universities. For instance, when comparing the allocation of scientific research funding competed for at the national level (only for new recipients in 2016), national universities received ¥53,027,715 (64.2%), local public universities received ¥4,373,980 (5.3%), and private universities received ¥14,691,755 (17.8%), with the remaining ¥10,559,510 (12.8%) going to other research institutes (as of June 2017, 1 British pound equals about 140 Japanese yen). Apart from in major metropolitan areas such as Tokyo, Japanese national universities were systematically set up near the prefectural government under the principle of one university per prefecture . Incidentally, a general characteristic of the regional national universities established in each prefecture is that they are comprehensive universities with at least five faculties, including humanities and social sciences, education, medicine, science and technology, and agriculture. One additional feature is that the faculty of science and technology is usually the largest in terms of student enrolment. In contrast, at many rural private universities, student enrolment in the faculty of humanities and social sciences is the highest. Local public universities tend to have an intentionally selected configuration of faculties that complement the national universities within the same prefecture: for example, if there is no faculty of medicine at the national university, then one will be established at the local public one. The tuition fees for private universities are high compared to national and local public universities. Average tuition fees for 2014 show private humanities at approximately ¥750,000, private science and technology at approximately ¥1,050,000, and private medicine at approximately ¥2,740,000, while national and local public universities fees, regardless of the field of study, are around ¥540,000. In addition to tuition fees, sometimes there are entrance fees and equipment expenses, which are also higher for private universities (particularly for those studying medicine). On a related note, approximately 45% of private universities (as of 2016) are falling below capacity (enrolment numbers are not sufficient to meet student capacity), and many small private universities in the Shikoku area and particularly in the Tohoku area (where the questionnaire survey of this paper was carried out) are now at below half capacity (Promotion and Mutual Aid Corporation for Private Schools of Japan, 2016). However, not a single national university has fallen below capacity. Generally, the competition to get into national universities is intense, attracting students with impressive academic abilities. Private universities, with some exceptions (such as Waseda and Keio), tend not to have a high level of selectivity. At universities that have very low student enrolment, there is virtually no selectivity, and these institutions are ridiculed as ‘border-free’ (BF rank) universities. From the next section onwards, we will get to the main subject. First, we will present the research methods. There have been many studies on high school students’ continuation to higher education, and especially on the opportunities for advancement to university, disparities between prefectures, and equal opportunities [2-7]. Most of these studies explain university advancement behaviour using financial factors (individual income and tuition fees) based on analyses at the prefectural level. ‘University education is the second highest expense in life’ , and it can be stated as fact that financial factors determine continuation to higher education. However, looking at the awareness problem mentioned earlier in this paper, there has been little focus on high school students’ thinking. Studies on high school students’ thinking include Tomie , Toida et al. , Ojima , Yoshikawa, and Nakamura . Toida et al. compared two periods, 1979 and 1997, and examined how career consciousness and the relationship between grades and parents’ academic background (Chapter 4) had changed over time. They also analysed friendship, youth culture, and student culture (Chapter 10); however, the relationship analysis between these and advancement to university cannot be called efficient. Ojima  grouped the motivation to advance to university or other higher education into three categories: (1) education and learning oriented, (2) employment and lack of qualification oriented, and (3) academic resume acquisition oriented, and each of these were compared according to gender and time period. Furthermore, each case was clustered, and four clusters were found (in descending order, ‘job-emphasis type’, ‘moratorium type’, ‘study/student-life type’, and ‘advancement-pressure type’), and an analysis of these was also conducted by gender and time period. Girls’ desire to advance to university increased for ‘moratorium and advancement pressure types’; however, the study was ‘not able to confirm a proactive increase in job orientation based on “specific goals”’ (p. 55). Tomie , Yoshikawa and Nakamura  also addressed the concept of ‘region’ (local). Tomie  asked, ‘for people who want to stay in an area, what are their desires based on?’ at the time they select a path after high school graduation, and focused on two aspects: ‘birth order’ and ‘city image’. The results of a survey targeting high school sophomores at three schools with both general and specialised curricula in northern Shiga Prefecture indicated that birth order determines local orientation and city image determines advancement movement toward higher education. Yoshikawa and Nakamura  conducted very innovative studies that incorporated research methods combining qualitative and quantitative research (mixed methods research). Yoshikawa used a large sample of data from questionnaire surveys and interview surveys spanning 10 years and followed the lifestyles of students from Shimane Prefectural Yokota High School. The results showed that ‘the academic career choices made by local residents from each area are of another dimension and tend to follow path selections that move them to their local area’ (p. 223); this was named the ‘local track’. Although this is applicable to Tomie as well, it is important in that it reflects on career selection in addition to academic and meritocratic aspects. Nakamura  examined not only the counties and non-metropolitan areas handled by Tomie and Yoshikawa, but also how the concept of ‘localism’ influences career selection. In interviews, there were a certain number of students who cited ‘closeness’ as a criterion for career selection, and according to the surveys, there was an association between that and career choice. Therefore, ‘the relationship between a narrow localism and career choice influences not only rural areas and counties, which have been a traditional subject of debate, but also many metropolitan high school students as well’ (p. 249), and this has practical and theoretical implications. Based on the focus of this paper and the prior research described above, we will utilise the following analytical method to examine the positives and negatives of the local human resource development policies (COC and COC+ projects). First, we will focus on students’ desire to progress to university and their future plans. As described in the introduction, while the COC and COC+ projects were being drafted, students’ desire for university education and their future plans were seldom considered. We believe that this could create a problem. Second, we should investigate the general picture of students’ career desires in Iwate Prefecture. Iwate has always been in the lowest group among Japan’s 47 prefectures for university entrance rates. It is also located at a moderate distance from the Tokyo metropolitan area, and indeed, youngsters (aged between 18 and 24) are very likely to leave Iwate for Tokyo. Accordingly, a detailed analysis is needed to ascertain how career paths (advancing to higher education) are chosen in Iwate at this distance. Amid the rising voice of ‘localism’, from this perspective, it is difficult to examine effective measures unless we understand the circumstances within each prefecture. This paper can be considered as an attempt to do this for Iwate Prefecture. Third, we focus on the career desires of students at university preparatory schools only, or, in other words, schools where the most students will advance to higher education, as opposed to schools where students have diverse career paths. In schools where students have diverse career paths, there are students aiming to find jobs, students aiming for vocational schools, students aiming for junior college, and students aiming for universities, and there are various influences on students’ desired career paths. Additionally, a study in this modern era is necessary to investigate preparatory school students who, ‘regardless of family circumstances, may have aspects such as aiming to apply to a university, going to a large city, and finding upward mobility’  and to explore which career path (advancing to higher education) they desire and why. Furthermore, it will be useful for us to scrutinise those prep school students who are socially expected to develop intellectual talents with which they can contribute to their region [13-15]. The data used in this paper were taken from the ‘Survey on Careers of High School Students in the Tohoku Area’ (2015 Survey) (Research Director: Masahiro Tanaka), conducted between August and October 2015. The subject schools of this survey were four public preparatory high schools who agreed to cooperate with the survey based on consultation with the Iwate Prefectural Board of Education. The subjects were third-year students (in 2015) who were asked to complete the survey. Nearly all responses (excluding students who were absent on that day) were obtained by conducting a group self-response survey in the classroom. Recovery rates for each school are listed in Table 4. Table 4. Recovery rates of the survey. Looking at the post-graduation desired career paths of students at each school (Table 5), over 97% of students from each preparatory school wanted to advance to university. At each school, there were fewer than three students who desired to go on to junior college or vocational school. Only a few students hoped to get a job (and zero at School C). In the 2015 (Nationwide) Post- High School Graduation Status, the advancement rate to university and junior colleges was 54.6% (48.9% of these advancing to university), with 16.7% advancing to vocational schools, and 17.7% advancing to employment; therefore, the high percentage of students wishing to advance to university at these preparatory schools (the survey subjects) is remarkable. Based on these results, in the next section we will proceed to analyse only the applicants who desired to advance to university [16-18]. Table 5. Condition of desired career paths post-graduation. In the questionnaire, we asked multiple-choice questions about the university and undergraduate faculties that the students wished to attend. Table 6 summarises the number of universities/faculties that were selected per school. We can see here whether desire was narrowed down to some extent at this stage, perhaps through exclusive or simultaneous applications. Overall, students selecting one university/faculty made up approximately 45% of the group, students selecting two made up approximately 34%, students selecting three made up approximately 12%, and students selecting four made up approximately 9%. Going by school, over 50% of students at School C chose only one university/faculty, and it is also possible that they were targeting a specific university. At School B, however, about one third of students selected only one university/faculty, and about one third also selected three or more universities. At school D, about one quarter of students selected three or more universities, and at school A, the percentage was about 20%. Table 6. Desire for higher education by school. Table 7 shows the number of desired universities/faculties cross-referenced with the founders (logically, [–] represents no corresponding numerical value). When only one university was desired, three-quarters of the students desired a national university. When 2 were desired, 137 students (47%) chose national and local public universities, and 87 students (27.1%) desired only 2 national/local public universities. Hence, the extent of the orientation toward national/local public universities can be seen here. If 3 universities were selected, a relatively large number of students (57; 49.1%) were happy with national, local public, or private (or there was a university or faculty the student wanted to attend at each of the national, local public, and private universities); however, 27 students (23.3%) desired national/local public universities. If 4 or more were selected, 45 students (52.9%) desired either national or local public universities, and so even here, we can see the extent of the orientation toward national/local public universities. Table 7. Desired number by university founder. Interestingly, regarding the conditions for desire by university founder, despite a slight variance in the degree chosen, all high schools showed similar conditions: if one university was desired, they chose a national institution; if two universities were desired, they chose national and local public; if three universities were desired, they opted for national, local public, and private; and if four universities were desired, they opted for national and local public. In particular, when three universities were desired, they were distributed among national, local public, and private, and when four universities were desired, the trend to converge these to national and local public was the same for all high schools. Several interpretations of these choices are possible: students who did not mind the type of school in the field tended to choose three options, or students who did not mind the field as long as it was at a national or local public university tended to choose four or more options [19,20]. Table 8 shows the desired fields by school (multiple responses). In general, among the four schools, science, technology, and agriculture were the most popular, with 36.7% of students desiring one of these subjects. They were followed by humanities (27.7%), social science (21.2%), medicine (20.4%), and education (19.9%); arts, physical education, and other fields were not as desirable. However, this differed for some fields when viewing the results by school. Although more than 30% of the students at each of the four schools chose science, technology, and agriculture, the largest difference here was only 6.7 points between School A and School B. This suggests that regardless of school, the orientation toward natural science was very strong overall. The desire for medicine was also strong and there were few differences, except for School B. Nevertheless, the differences became noticeably larger when we focused on education (9.2 points between School B and School D), humanities (12.4 points between School B and School C), and social science (12.5 points between School B and School C). Table 8. Desired field by school. Table 9 shows the number of desired universities cross-referenced with the number of desired fields (the vertical header indicates the desired number of universities and the horizontal header indicates the number of desired fields. As in Table 7, [–] indicates no corresponding numerical value). When there were two desired universities, two thirds of the students chose the same field and one third chose different fields. When three, four, or more universities were desired, the fields were not necessarily narrowed, and many students decided between multiple fields (among students choosing four or more universities, no student had narrowed it down to one field). There were also cases in which fields at desired universities/faculties were all different. Table 9. Number of desired universities × number of desired fields. When multiple fields were chosen, the following types of field were likely to be co-selected. Table 10 shows the results of calculating the correlation coefficients among the five fields-excluding the less frequently selected arts, physical education, and other fields-for the 230 students. In many cases, humanities was selected along with social science, and in a few cases, it was selected along with science, technology, and agriculture or medicine. Education did not have a very strong correlation with other fields, and in any case, these were negative correlations. In many cases, science, technology, and agriculture were selected along with medicine, and overall, it seems that there were three main field groups (humanities and social science; education; and science, technology, and agriculture and medicine). Table 10. Percentage of positive responses for questions on reasons for desire for university education. Figure 1 shows which region students wanted to go to for higher education and the first desired choice by region. In general, among the four schools, approximately 25.1% of students desired to go to university in the Tokyo metropolitan area (Saitama, Chiba, Tokyo, and Kanagawa prefectures) and approximately 25.0% of students wished to enter university in Miyagi Prefecture. About one fifth (20.9%) of students desired to go to university in Iwate Prefecture. Other areas included the Kita-Kanto area (Ibaraki, Tochigi, and Gunma prefectures) at about 7%, Aomori Prefecture at about 5%, Hokkaido Prefecture at about 4%, and some others with relatively small percentages. Therefore, the three most desired destinations for higher education among students at the four schools were the Tokyo metropolitan area, Miyagi, and Iwate. Figure 1: Students wanted to go to for higher education in different regions. Looking at these by school, while there was not a big difference among the four schools in the desire to go to Iwate, the desire to go to Miyagi was especially strong at schools A and C. Interestingly, the desire to go to the Tokyo area was somewhat stronger at School A, but weaker at School C. There were also other differences: for instance, there was a stronger desire to go to university in Hokkaido Prefecture at School B, and weaker desire for Yamagata Prefecture at School A. If we add the second and third choices by region to Figure 1, the shape of this graph changes slightly (Figure 2). Noticeably, nearly 60% of students chose Iwate Prefecture for their studies. This was much higher than Miyagi (46.4%) or the Tokyo area (44.5%). Other regions became targets, and indeed, the rates of Hokkaido, Aomori, Akita, Yamagata, and Kita-Kanto doubled. Looking at these by school, the differences among the schools were diminished to some degree, despite the fact that the big difference remained in the desire to go to university in Miyagi Prefecture. 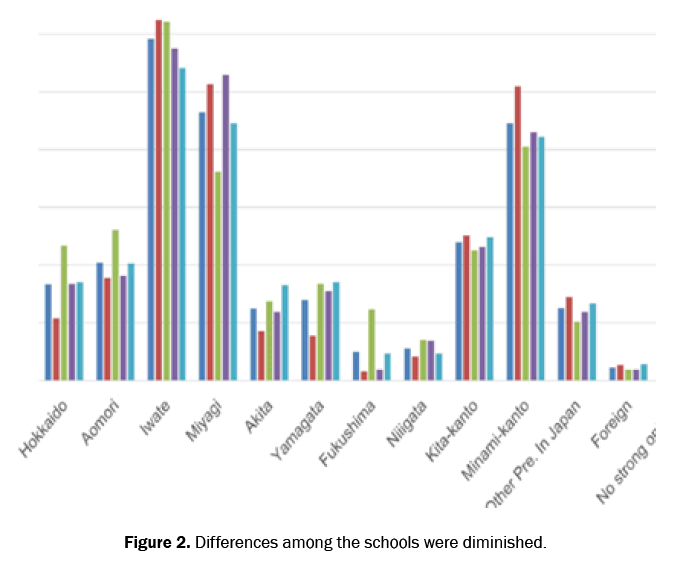 Figure 2: Differences among the schools were diminished. Figure 3 displays the percentages of positive responses to each (‘very applicable’ + ‘somewhat applicable’), and Table 11 summarises the correlation. Below, we look at this from the viewpoints of ‘future orientation’, ‘reality orientation’, ‘famous university orientation’, ‘urban (local) orientation’, and ‘surroundings orientation’. 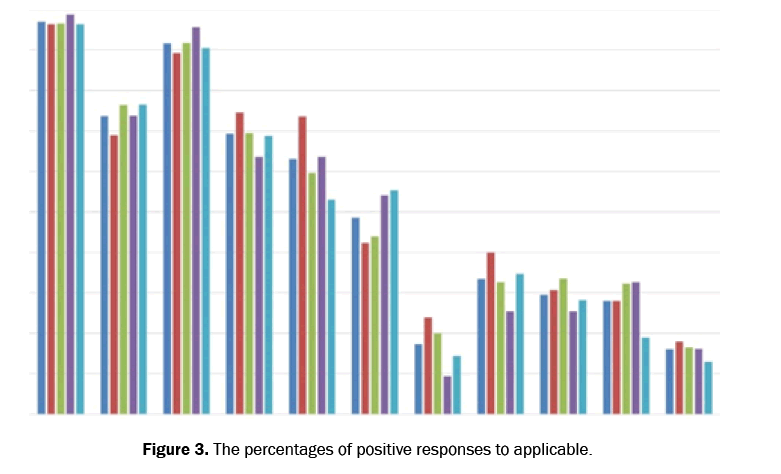 Figure 3: The percentages of positive responses to applicable. Table 11. Correlation between each item (four schools total: polychoric). We will now look at questions a), b), and c) as items representing future orientation. First, ‘a) It offers the academic area I want to study’ had the highest percentage of ‘very applicable’ with approximately 96.9%: almost all students gave a positive answer to this question. It has been quite some time since the popularisation of Japanese universities was talked about; however, for the four preparatory schools targeted in this survey, we can see that students chose higher education destinations based on the academic areas they wanted to study in. There was also very little difference between schools. Next highest was ‘c) It leads to the profession I want’, with 91.6%. Similar to a), it seems they chose higher education destinations according to their future goals. Looking at the differences between schools, there was little difference in question a), with School C being the highest (with 95.6%) and School A the lowest (less than 90%). Nonetheless, the percentages were very high among all schools. Also indicating the influence of future goals, ‘b) I can obtain the qualification I want’ showed a high value, with 73.6%. There are, of course, professions that require specific qualifications such as education or medicine; however, there are also professions that do not require qualifications, and for these, it cannot be helped that this answer would be low. Again, School A showed a fairly low value here, and this may not only be because question c) was low. It seems that various factors are involved, such as whether graduates are more likely to go to universities that require qualifications or whether or not they are surrounded by people in professions that do not require qualifications. However, in any case, it is certain that ‘future orientation’ is an important pillar of the desire to go to university among students of preparatory schools. These three questions also seemed to have a relatively high correlation. Next, we will look at questions d) and f) as items showing reality orientation. Overall, approximately 69.3% responded that ‘d) It matches my academic ability level’ was applicable, which was the next highest value after future orientation. While the rate of continuing to university increased, it is expected that the current pass rate is also increasing. That is, in this situation where ‘more classmates’ were continuing to higher education ‘without becoming a ronin’ (literally ‘masterless samurai’, here it refers to students who failed to enter any university), there was perhaps a strengthening tendency to avoid becoming a ronin. By school, there was over 10 points’ difference between School A and School C, and there seemed to be a difference by school on the formation of an active-role orientation within schools (in other words, a challenge orientation). For question f), ‘The tuition is cheap’, overall, less than half agreed (48.5%). Although we do not know to what extent students understood their parents’ household financial burdens, approximately half of the students considered cheaper tuition to be important for their selection. However, as seen in the previous section, overall, the orientation toward national universities was very high, and it was difficult to determine whether this was because the tuition of national universities is cheap and that is why students want to go there, or because the tuition is cheap and so students chose ‘applicable’. (If the question item was read as a correct statement, this would indicate an orientation toward national universities because the tuition is cheap.) By school, there was a large difference, with School D at over 50% and the other three schools at less than 50%. For academic ability, many students chose realistic paths, and it seems that tuition fees were not as much of an obstructing factor as future orientation and academic abilities. For e), ‘It is a famous university’, this was more than 60% overall (63.0%) and was relatively emphasised when selecting a university. By school, School A was particularly high at over 70%, while School D was slightly higher than 50%. The difference among schools was 20.5 points, which was the greatest difference among the 11 question items. Table 11 indicates a relatively strong correlation with ‘h) I can live in a city’, and it is believed that many students had a famous university in the city in mind. However, it is possible that students had in mind famous universities in rural areas (old imperial universities such as Tohoku University) and the prefecture’s own national universities (in this case, Iwate University). Overall, ‘g) I can commute from home’ was not high, at 17.3%. However, the difference between schools was relatively large here (14.5 points). The highest was School A at 23.9%, and the lowest was School C at 9.4%, constituting a large difference between 1 in 4 students and 1 in 10 students. Question h), ‘I can live in a city’ (the word ‘city’ in Japanese usually means an urban area, not an area with a cathedral), was slightly higher, at 33.4% overall: one third of students were influenced by this factor. The difference between schools was also large (14.5 points). The highest was School A at 39.9%, and the lowest was School C at 25.4%. It is possible that there are various interpretations of ‘city’, similar to the item above. Looking at the relationship between School A and School C, we found a negative correlation coefficient (Table 11) between questions g) and h), although it was not that large. This indicates the concept of home = rural (countryside), which is not necessarily the opposite concept of a city. For example, Morioka-Iwate’s prefectural capital- may be thought of as a city by Morioka citizens compared to other municipalities in the prefecture. Therefore, it seems that many students thought that they would commute from home and live in a city. Of course, for students who thought they wanted to live in a city such as the Tokyo metropolitan area, there was also a pattern of not placing importance on commuting from home, and it is difficult to make distinctions in this area. What we should emphasise here in terms of the research purpose is that commuting from home was not a crucial factor for many students in deciding which university they wanted to enter. Questions i) ‘It was recommended by my parents’ and j) ‘It was recommended by my teachers’ made up, overall, less than 30% (29.5% and 28.0%, respectively), meaning that about one in three students decided to go to university based on the opinion of their parents or teachers. However, it is interesting that whether they listened to the opinion of parents or of teachers differed by school. At School A, teachers’ opinions were more important, while at School C parents’ opinions were more important. At Schools B and D, they were given about equal importance. Question k), ‘I have friends and acquaintances there’, was the lowest of the 11 question items, with 16.0% overall. ‘Future orientation’ and similar reasons were more important reasons for advancing to university, and students were not likely to change their university choice based on friends/acquaintances going to that university. Between Schools C and D there was about a fivepoint difference; however, there was not a great difference among schools. Between questions i), j), and k) there was some degree of correlation, as seen in Table 11, and it is possible to conclude that students who were concerned about their surroundings paid attention to the trends of parents, teachers, and friends, while students who were not concerned about this did not pay attention to that factor. This paper analysed the positive and negative aspects of local human resource development policies in Japan from the perspective of the desire for university education among final-year students at four prefectural university preparatory schools in Iwate Prefecture. Based on these results, we would like to present the following points. Regarding the desire to go to university, first, the orientation toward national universities was strong. This was the same for all four schools, and even when the number of desired universities increased, the percentage of national universities chosen remained very high. Second, the subject group of science, technology, and agriculture was ranked the highest of the desired fields at all four schools; however, about one-fifth of the students desired humanities, education, social science, or medicine. It is very clear that students at the four schools were likely to be oriented toward natural science. Additionally, students selecting multiple fields (who could be regarded as still undecided) were considering multiple fields from the groups of ‘humanities and social science’; ‘education’; and ‘science, technology, and agriculture’ and ‘medicine’. Third, Iwate Prefecture, the Tokyo metropolitan area, and Miyagi Prefecture seemed to be the three major destinations for university education. However, if the second and third choices were included, then Iwate Prefecture would become the most favourable destination. Regarding the reasons for their desired choices of university, first, an overwhelming number of students wanted to advance to university for the sake of their future goals. In this survey, ‘because everyone is going’ was not prepared as an answer choice; nevertheless, looking at the extent of future orientation, there seemed to be almost no negative reasons for this. Second, academic ability naturally influenced path selection; however, it cannot be said that tuition fees were a big obstacle to the active promotion of university education. It could be presumed that students proceeding to higher education came from strong financial backgrounds and did not worry much about household expenses. Third, an orientation towards famous universities was strongly indicated; however, this was not necessarily limited to famous universities in the Tokyo metropolitan area. Fourth, to some extent, there were also students who wanted to live in a city; however, it is unclear whether this city was the Tokyo metropolitan area or not. Fifth, no major influence of surrounding opinions was found. Sixth, commuting from home was not considered to be a crucial factor in university choice; this is significant to the argument of this paper. Based on the above points, we suggest that students at the four schools investigated in this study selected the following criteria: ‘looking toward the future’, ‘potential based on academic ability’, ‘not necessarily a city’, and ‘national university’ without depending too much on others such as parents or teachers. With regards to fields, they chose universities/fields based on ‘what I want to do in the future’ and ‘what I want to learn’, and these were the strongest reasons for selection. Since high schools are already divided into humanities courses and science courses, few students had to decide between humanities and social science (humanities) and science, technology, and agriculture and medicine (sciences). Therefore, there were stronger ties by field than by type of school and region. In other words, if the field students wanted to study was not in the area they wanted to go to, they had to either change the type of school from a national university to something else or change the region. This was suggested by this paper’s analysis. This paper thus argues that the policies of the COC+ Project, in which regional national universities are encouraged to concentrate on nurturing local human resources, are problematic because a certain number of local high school students that aspire to undertake higher education are ‘looking at the future’, ‘have the scholastic ability to advance academically’, and while they ‘do not necessarily want to go to a big city’, they choose a ‘national or other public university’ ‘without relying much on other people’. That is, even if there is an opportunity to go on academically to national or other public universities that are available locally, if the local human resource development goals of the regional universities differ from the future hopes of high school students, then for those who wish to go on to university, this incompatibility could become a factor that negatively affects their decision. Finally, we should mention a limitation of this survey: since it was conducted from summer to autumn of the third year, it is possible that a ‘type of school’ or ‘region’ filter was introduced when students made their humanities or science course choices in their first or second years. Nevertheless, it seems that they positively responded to the items on ‘future orientation’ in the questionnaire. Further analyses are necessary, including on the stage in high school during which the student makes a selection based on a comprehensive view of the type of school, field, and region. Osaki H. University Reform 1945-1999.Yuhikaku, Tokyo; 1999. TomodaY. Some determinants of regional differences in college enrollment ratio: In the cases of 46 prefectures in Japan. J Sociol Educ.1970;25:185-195. Yamamoto S. An Analysis of the factors determining the percentage of applicants for admission to universities.J Sociol Educ.2013;34:93-103. AkinagaY and Shima K. Time series analysis on regional migration of freshmen.Annual bulletin, Graduate School of Education,Tohoku University.1995; 43:59-76. Shima K. Showa 50.On the University Decentralization Policy since 1976 and the Reconsideration. J Sociol Educ.1996;59:127-143. Kobayashi M. Opportunities for advancing to university. Tokyo University Press, Tokyo; 2009. Hozawa Y.Regional disparities in higher education opportunities. UNESCO, Paris; 1980. Kobayashi M. Higher education gap.ChikumaSinsho, Tokyo; 2008. TomieH. Analysis of intension to live in the country in high school students’ course selection: Focusing on images of large city and decrease in the birth rate.Bulletin of the Graduate School of Education, The University of Tokyo.1997;37:145-154. Toida D, et al. Changes in high school culture and career path formation.Gakuji Shuppan, Tokyo;2000. Ojima S. Modern high school students’ econometric sociology. Minerva ShoboPublishing, Tokyo;2001. Nakamura T.Process and structure of career path selection-quantitative and qualitative approach from high school entrance to graduation.Minerva Shobo Publishing, Tokyo;2010. Abe M. Young people staying in rural areas-a new society appearing between urban and rural areas.Asahi ShotenPublishing, Tokyo; 2013. Inenaga Y,et al. A study of ‘university-community’ partnerships and faculty member activities: survey of national universities.Japanese Journal of Higher Education Research.2000;3:149-171. Ishiguro I, et al. Young people going to Tokyo-work, social relations, regional disparities. Minerva Shobo Publishing, Tokyo; 2012. Japan Policy Council SutoppuSyoshika, Chiho GenkiSenryaku. Stopping the decline in birth rate and regional health strategies.2014. Kikkawa T. Local track in academic society-University Admission from Rural Areas.Sekaishisosha, Tokyo;2001. Kuroha R. Development of university policy after world war II. Tamagawa University Press, Tokyo; 1993. Ministry of Education, Culture, Sports, Science and Technology.Heisei 25.The Result of Analysis on Average Tuition Fee of Private Universities in 2013.2015. Yano M and Hamanaka J. Why don’t high school students go to university? Determinants of the Demand for Higher Education.‎J Sociol Educ.2006; 79:85-104.